Bell TV1 Tech Specs and General Description. Bell Tv Receiver Installation Procedure. Bell Tv 201 Tech Data and Alignment Procedure. Bell Tv 202 Installation Procedure and Preset Ctrl Adj. Bell Tv6 Tech Data and Alignment Procedure. 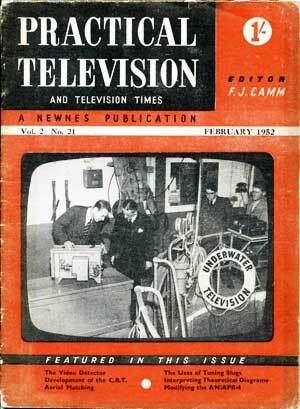 In 1952, a year before the coronation of Queen Elizabeth II, Practical Television and Tv Times News Publication printed a series of articles for ameature radio enthusiasts to build their own television sets. The BBC was going to make a huge showing of the coronation but very few families in the UK had television sets at the time. The thought was that this construction project would help to accelerate the interest. I have included extracts of six publications covering the Argus Televisor. 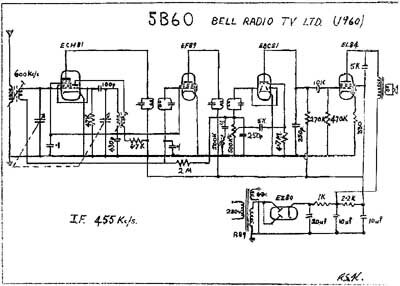 I believe this project was also used by builders of Tv's in New Zealand when Bell Radio-Tv and Seddon Memorial Technical College started their transmissions. My father build this Tv from parts bought at an Army Surplus store in New Market. Thanks to Stephen Ostler at 'radiocraft' for gathering this information. He even built the set.